AL- ROCK là robot di động đầu tiên trên thế giới được thiết kế cho mục đích tôi cứng laser trên các bề mặt kim loại. No more time-consuming dismounting of heavy components – Simply drive the laser with its self-propelled crawling chassis directly to the part to be hardened. On site, the flexible, wide sweeping robot arm easily reaches even challenging work pieces. In free 3D movements, the laser beam precisely follows even the most demanding three-dimensional work piece contours, for example on tracks along complex closing edges. Burlings, scars, or single dots are not a problem. The only thing the laser needs is free access to the work piece surface to be treated. 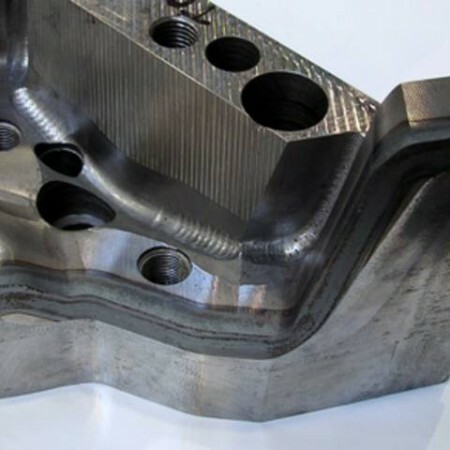 Laser hardening results in an extremely fine-grained and tough structure, therefore the hardened material is extremely cracking resistant. 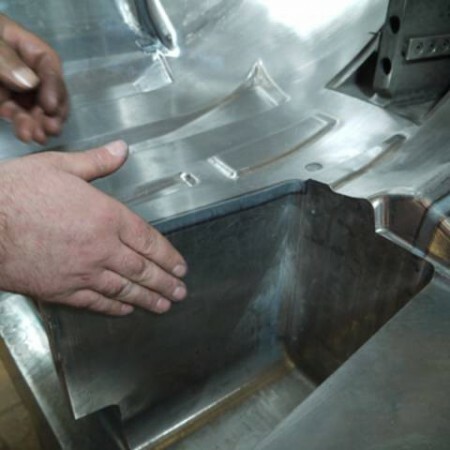 With laser hardening, the same hardness results can be achieved as with conventional hardening processes. 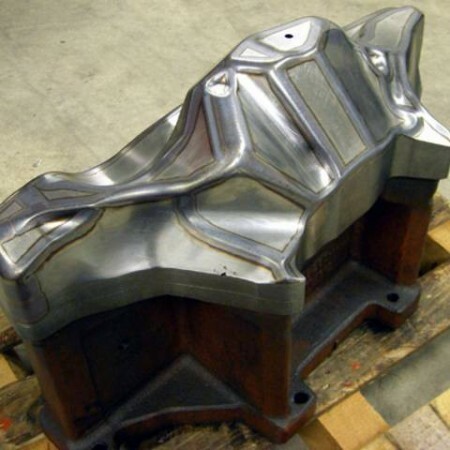 All common metals can be hardened, for example, tempered steels, structural steels, cold work steels and cast steel as well as various types of grey cast iron like graphite cast iron with lamellar or spheroidal graphite (with at least 80 % pearlite). 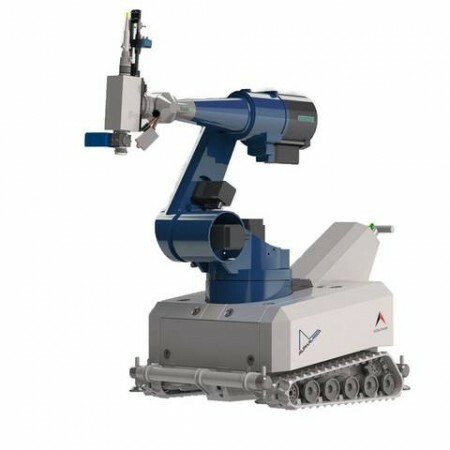 And the AL ROCK can do even more – Upon request, you can also use the laser robot for laser welding, e.g., for laser powder welding or for build-up welding with welding wire.